WICHITA, Kan. — Deputies say a woman in western Kansas became stuck on her boyfriend's toilet after sitting on it for two years. Whipple said investigators planned to present their report Wednesday to the county attorney, who will determine whether any charges should be filed against the woman's 36-year-old boyfriend. "She was not glued. She was not tied. She was just physically stuck by her body," Whipple said. "It is hard to imagine. ... I still have a hard time imagining it myself." "And her reply would be, `Maybe tomorrow,"' Whipple said. "According to him, she did not want to leave the bathroom." The boyfriend called police on Feb. 27 to report that "there was something wrong with his girlfriend," Whipple said, adding that he never explained why it took him two years to call. 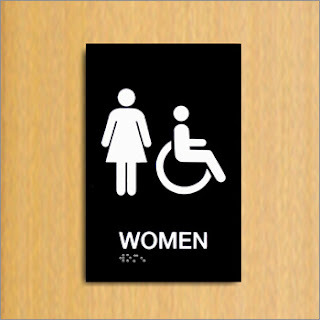 Police found the clothed woman sitting on the toilet, her sweat pants down to her mid-thigh. She was "somewhat disoriented," and her legs looked like they had atrophied, Whipple said. "She said that she didn't need any help, that she was OK and did not want to leave," he said. She was taken to a hospital in Wichita, about 150 miles southeast of Ness City. Whipple said she has refused to cooperate with medical providers or law enforcement investigators. Authorities said they did not know if she was mentally or physically disabled. Police have declined to release the couple's names, but the house where authorities say the incident happened is listed in public records as the residence of Kory McFarren. No one answered his home phone number. The case has been the buzz Ness City, said James Ellis, a neighbor. "I don't think anybody can make any sense out of it," he said. Ellis said he had known the woman since she was a child but that he had not seen her for at least six years. He said she had a tough childhood after her mother died at a young age and apparently was usually kept inside the house as she grew up. At one time the woman worked for a long-term care facility, he said, but he did not know what kind of work she did there. "It really doesn't surprise me," Ellis said of the bathroom incident. "What surprises me is somebody wasn't called in a bit earlier."